One of the trickiest things to do when you first start out fishing, or even if you’ve been fishing for a long time, is to pick a lure color that you think will be eagerly snatched up by hungry bass. Lures look awesome at the store in the nice packaging, but when you start fishing them and haven’t had much luck, you blame your lure choice, and your confidence begins to sink. 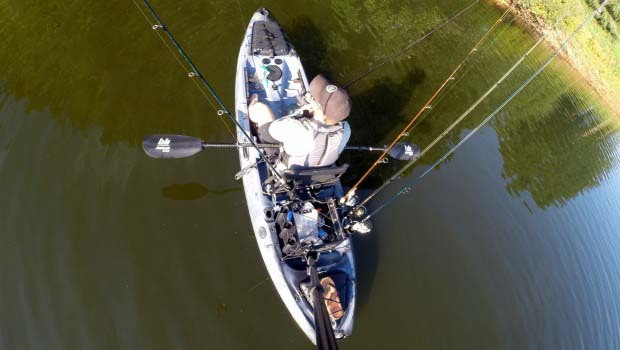 While in general experts agree that the lure selection and action is more important, color does come into play as a part of the whole presentation so it is good to know some basic color picking guidelines that boost your chances on the water. Water clarity is the most important factor when considering lure color. The basic rule of thumb here is based around the vision of a bass. For clear water you want to use a subtle colored translucent lure so they aren’t spooked when they can get a good look at your lure. Good choices would include a Senko in Baby Bass or a Zoom Trick Worm in watermelon. Try to keep it close to natural colors like gray, green, silver, and white. For dark or stained water you want to go with a bright presentation that is more solid so they are able to find it more easily and it contrasts the dark water. You could also go with a solid dark color as that will also create contrast. Some good choices for bright colors would be chartreuse, pink, or orange. If you decide to go dark then try black, blue, or purple. The bright sun, or lack thereof can also impact your lure choice. This is really tied into the water clarity as well because more light lets fish see further in the water. A bright day with clear water means you really need to be modest with your lure color selection. On the other hand if it’s cloudy and you’re fishing clear water then maybe you can try a more solid lure or a bit of color. Same goes for muddy water, the sun will penetrate more so instead of using a bright color on a bright day, go with a dark solid color on a bright day in muddy water. Sunny and Clear Water: Bass see more detail in the water, stick with translucent natural colors. 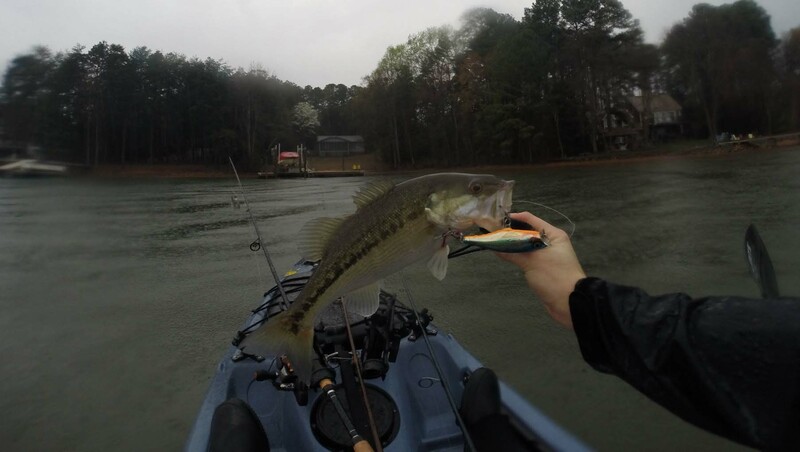 Cloudy and Clear Water: Bass see more detail in the water, stick with translucent baits but add a bit of color. Sunny and Dark Water: Bass see less detail in the water, stick with solid bright colors to grab attention. Cloudy and Dark Water: Bass see less detail in the water, stick with solid dark colors for contrast. In fly fishing everyone says ‘match the hatch’ when it comes to advice for lure color and selection. ‘Oh so you want me to go study and observe insects, worms, crayfish, and minnows, to learn and then apply their size, color, breeding patterns, and migration habits to the particular lake I’m fishing on this one free Saturday morning? I’m on it.’ In all reality it’s a good piece of advice, but can really be quite frustrating and not very helpful off the bat. My advice for this part of color selection is to focus on a single lake and just don’t be dumb. 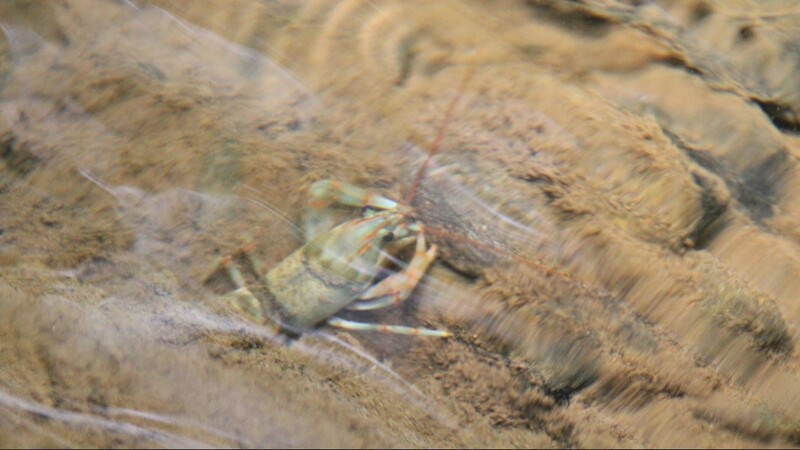 Crayfish aren’t moving in water below 50 degrees so bass aren’t looking for that color pattern as much. Small bait fish spawn just after bass so imitation is almost always good with a silver or gold color. 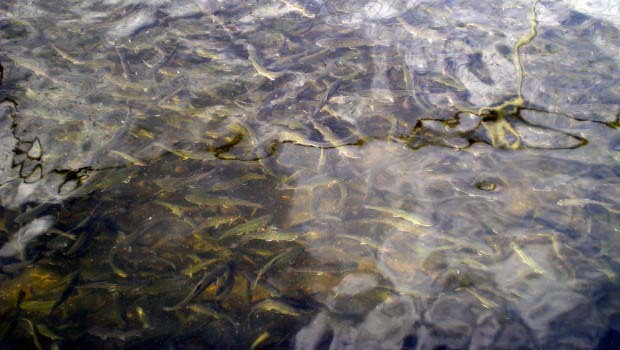 If you get lucky and happen to spot a school of baitfish then pick a lure size that matches. You can also talk to your local bait shop and find out from them what the fish are hitting. Night fishing is the easiest to pick the best lure size and color; always go big and dark when night fishing. The bigger lure creates more water movement and these vibrations will attract a bass that can’t see as well at night. 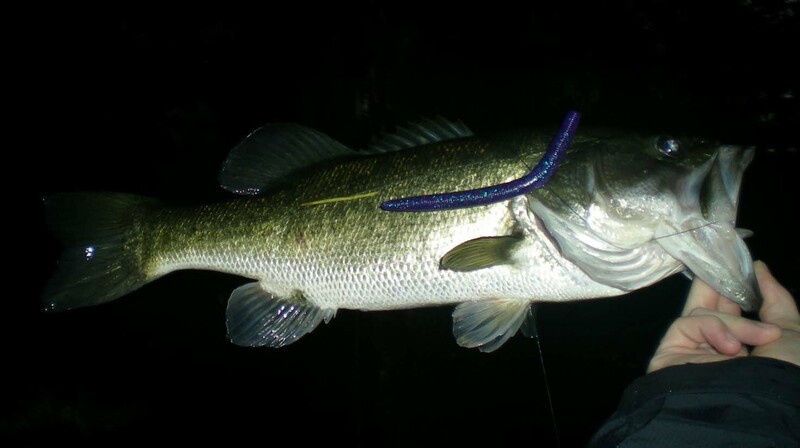 Also, pro bass fishermen agree that the dark solid lure color at night will help provide contrast between the bait and the water. 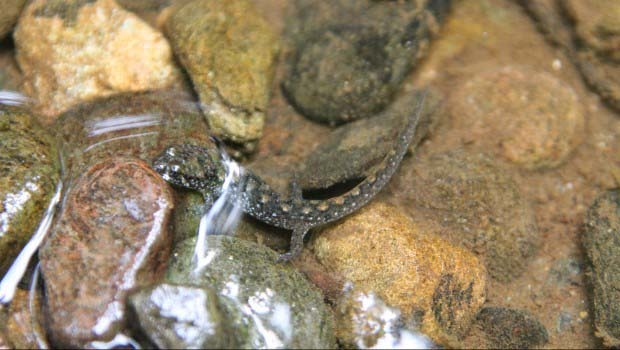 Bass typically won’t strike at something they’re not sure about or can’t see well. 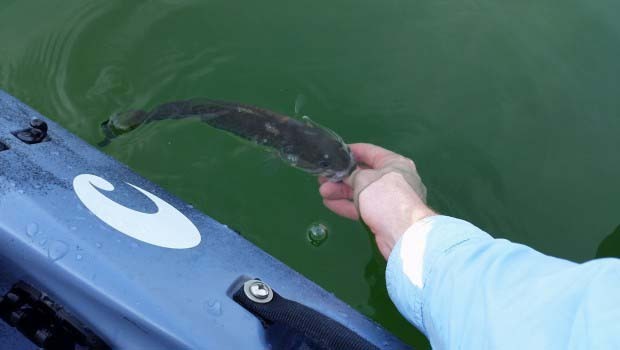 With top water lures it is most important to pay attention to the color on the underside of the lure. Big brands get you all excited with the frog print paint job and the baby bass coloring, but what matters most is the underbelly because that is what your potential fish is going to see. I have had tremendous success with a Rapala Skitter Walk or Skitter Pop with a bright orange chest on it when fishing dark or dirty water. I don’t think I can base all of that on the color since the walk the dog action is great on this lure, but I like to think the orange blaze helps the fish decide to hammer that lure. 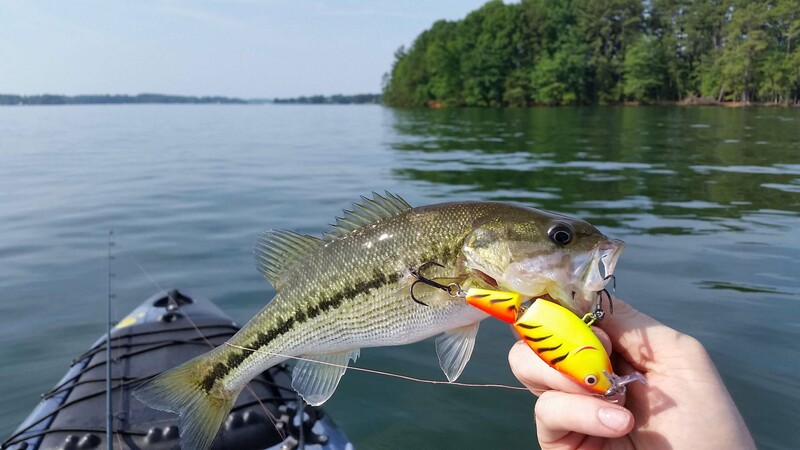 While all of the above are good guidelines to select a lure color, it by no means indicates that you can’t catch a bass on a bright day in perfectly clear water with a bright pink worm. I’ve done it before and I’m sure other anglers have as well. Everyone has that ridiculous fire tiger crankbait in their box that simulates absolutely nothing in nature, but on some days in clear water it just works. If you’re having a slow day fishing with a certain lure type or color it is never a bad thing to try to switch it up and see what happens. However, following this basic color guide will put you in the best position to appeal to and ultimately catch the most bass.